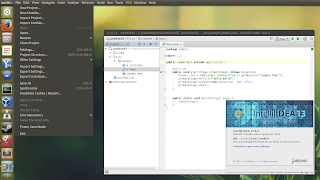 Java Swing Ayatana is a project that brings Ubuntu global menu (AppMenu) and HUD support for Java Swing applications. JAyatana version 2 was released recently, getting support for Ubuntu 13.10 along with a PPA for easy installation. Update: the PPA now supports Ubuntu 14.04 and 14.10. 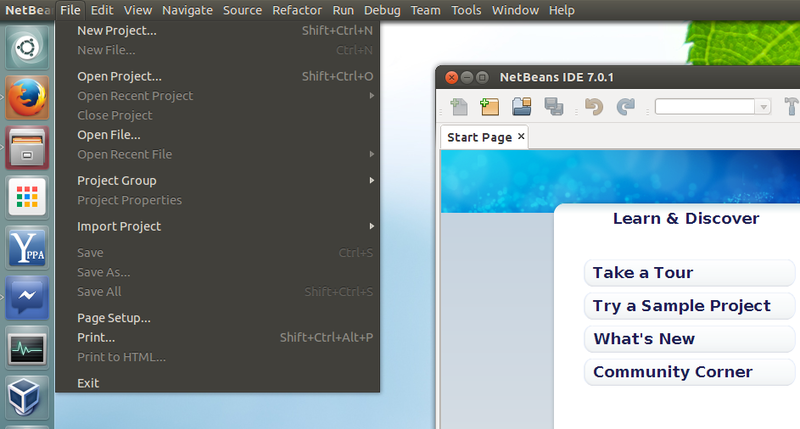 Using this, you'll get Unity AppMenu and HUD support for applications such as: NetBeans IDE, IntelliJ IDEA, Android Studio, jDownloader and so on. The current version has a small display bug with IntelliJ Idea and Android Studio - the bug was fixed minutes after publishing this post, thanks to danjaredg for the quick fix! Note that this won't work for Eclipse because it's a SWT application (update: in Ubuntu 14.04, Eclipse has HUD / AppMenu support by default). If you want Unity AppMenu / HUD support for Eclipse IDE, see the instructions HERE for Ubuntu 13.04 and older or, for Ubuntu 14.04, use the new unity-gtk-module dconf option to whitelist Eclipse. Unfortunately the old method to enable the Eclipse AppMenu doesn't work properly in Ubuntu 13.10. Once installed, log out and log back in. If you want to checkout the source, report bugs and so on, see the Java Swing Ayatana page @ Google Code. 2. And finally, log out and log back in.